Cuttlebug SPACER Provo Craft 37-1259 Block Replacement at Simon Says STAMP! 37-1259 /14.2 This item is on reserve until If you would like to reserve this item now, you may purchase it now with the rest of your order. We will hold your order now and ship your entire order as soon as this item is back into stock. If you would like your order to ship now, please place this item on a separate order. Success, Cuttlebug SPACER Provo Craft 37-1259 Block Replacement has been shared! Use this product with your favorite products from Cuttlebug! Place cutting pad B and die (foam side up) on top of spacer A. Place material face down on top of die. Place second cutting pad B on top of material. Insert all into Cuttlebug machine. 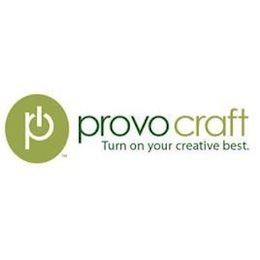 Provocraft's mission is to deliver leading products that allow for greater creativity. Cricut, Provocraft's parent company, is a world-class leader in personal electronic cutting machines that enable people to achieve their creative best. For 50 years, Cricut has produced tools that inspire creativity, including the Cricut electronic cutting machine and Cricut Design Space online design software. Today, millions of people use Cricut products to create unique projects, and we focus on enhancing lives with this power of creativity!